An e-mail has been send and she has 48 hours to respond. "Connecting Children to Earth's Habitats" is the first statement seen when you log on to Perennial Toys aside from some really cute River Otter Books, Polar Bears, Ducks and more. With the endless number of toys stores, it's hard to stand apart from others but when you have a unique product, it's easy. I gravitate towards those toys that capture the imagination of children and help to teach. One such toy company, Perennial Toys, is that. Perennial Toys is dedicated to creating toys and gifts that enhance a child’s understanding of Earth’s habitats. They focus on aquatic habitats and the endangered animals that depend on these sensitive environments. Each Perennial product also reflects their mission to manufacture and promote eco-friendly toys and gifts. A portion of Perennial's proceeds goes into supporting wildlife conservation efforts. Perennial Toys' artist is Daryl Tom who has received numerous awards throughout his career. To read more about Mr. Tom, go here: http://www.perennialenterprises.com/aboutperennial/meetourartist.html. Your River Otter Coloring & Activity Book is priced at only $4.00. 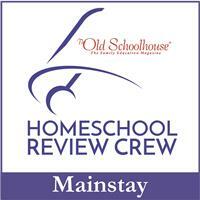 It has 16 8 1/2"x11" beautiful pages of activities, reading, and illustrations. My Artic 1-2-3 is priced at $7.95. It is a beautifully illustrated book on the Artctic and its animals by Vladyana Krykorka. Includes descriptions of Native American life and language. Perfect for 3-6 years old children. Each order comes with a FREE Perennial Toys mini coloirng book. Duck Pail priced at $12.95. Includes: animal, crayons, badger balm, flexible magnet, and mini coloring book, & a surprise gift! Polar Pail priced at $12.95. Includes: animal, crayons, badger balm, flexible magnet, and mini coloring book, & a surprise gift! Whale Pail priced at $12.95. Includes: animal, crayons, badger balm, flexible magnet, and mini coloring book, & a surprise gift! There are numerous gift sets to choose from whether it's the King Eider Habitat Gift Set, the Polar Bear Habitat Gift Set or a starter set, your little one will be happy! 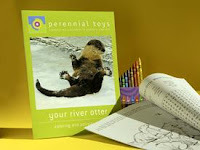 Perennial Toys provides free coloring pages HERE and an area to learn more about habitats HERE. Perennial Toys even has a My Earth Stories contest for children ages 6-12 that ends March 31, 2010. 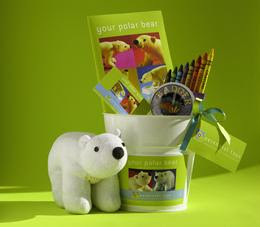 One lucky reader will win the Polar Pail! 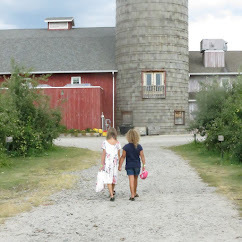 This is my favorite and it's what caught my attention when another blogger hosted a giveaway for this Polar Pail. My girls love polar bears and the water so this is sure to be a winner with most children. I'm reverting back to comments at the bottom of the post based on some feedback. I'll re-evaluate after this giveaway as the forms are easier to track and pick the validated winner. You must follow my blog, visit Perennial Toys and return with the mandatory ONE comment that tells me you follow my blog and another product you like. Blog about this giveaway and return with a link to your post. Tweet about this giveaway and leave your tweet link (can be done daily). Giveaway ends February 2, 2010 at midnight. Winner will be selected by random.ord. I am following you now! My son would love this pail! He had the word "habitat" as one of his spelling words last year! He is a nature lover and animal lover and loves to learn new things. I'm following you by email. I like all the products on the site , but, to pick one it would be the Polar Bear Habitat Gift Set. What a great way for children to start learning about animals. i follow and I also really love the duck pail and the otter activity book. I love the polar bear habitat set. Thanks for the chance. I follow your blog on google friend connect user id Aline and I like the narwhal starter kit the best. I follow your blog and another item I like is the Gift Sets, would choose the Polar Bear Habitat Gift Set from choices currently available. Signed Perrenial Toys guest book. I like the King Eider Habitat Gift Set and I follow your blog. I'm subscribed to your blog via Google Reader. I follow, and I LOVE the "Your River Otter Coloring & Activity Book"! i follow, i like the polar bear stater set with blue soap! 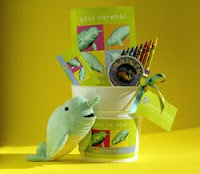 I follow you blog and i think the whale pail is so cute!! I like the Polar Bear Habitat Gift Set and I am a follower. I follow and think the "Whale Pail" is pretty cute! I like the King Eider Habitat Gift Set. I love what these toys are teaching. 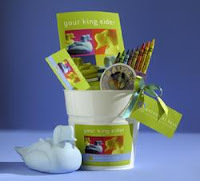 And another favorite is the King Eider Habitat Gift Set!